The overall effect of Day's forest(s) is one of serenity; connoting a place of refuge, a sanctuary, a beloved and essential home to many species (including the artist). From Dark Forest: Prints, Drawings, and Hangings by Cecil Day and Mary Dryburgh; Arts Atlantic, Issue #51, Winter 1995, p.4. Cecil Day was born in St. Louis, Missouri, in 1938. She holds a Bachelor of Arts degree from Indiana University (1960) and a Master of Fine Arts degree from Washington University (1973). Day moved to Canada in 1979. She spent the winter months living at St. John's, Newfoundland and the summers in Nova Scotia. 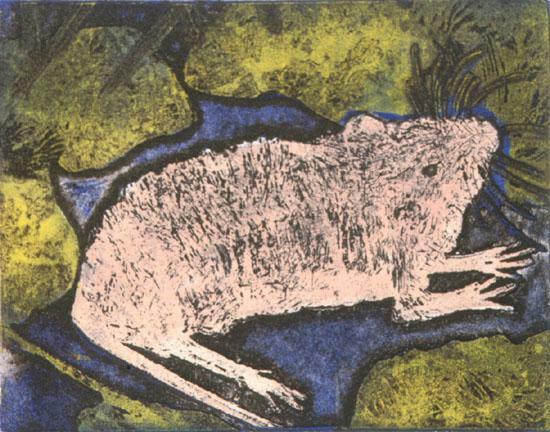 From 1980-1993, she taught basic etching techniques at St. Michael's Printshop in St. John's, and has been teaching similar courses at the Yarmouth Arts Regional Centre in Nova Scotia since 1983. 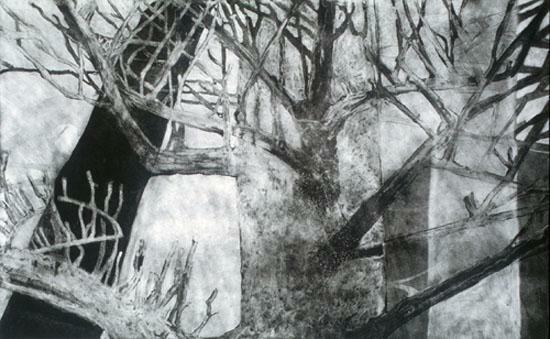 Although Day's initial training was in painting, she is primarily recognized as a printmaker. Nature is a common subject in her work, and she exhibits her art extensively in solo, group, and juried shows across Canada and the United States. These include: Cecil Day: Traps at the Art Gallery of Nova Scotia (2010-12); Tidelines, at the Sign of the Whale Gallery in Yarmouth, Nova Scotia (2007); and Journey in the North Atlantic, at the Craft Council Gallery in St. John's (2005). Day was an artist in residence at Cité Internationale des Arts in Paris, France, in 1995; and completed three other residencies through the Art Gallery of Newfoundland and Labrador (now The Rooms Provincial Art Gallery): at Terra Nova National Park (2012); at the Rockwell Kent House in Brigus (2006); and at Gros Morne National Park (1999). In addition to being part of The Rooms Provincial Art Gallery's Permanent Collection, Day's work has been collected by a variety of public institutions, such as the Canada Council Art Bank, the National Library of Canada, the Art Gallery of Nova Scotia, the University of New Brunswick Arts Centre, and Harvard University. 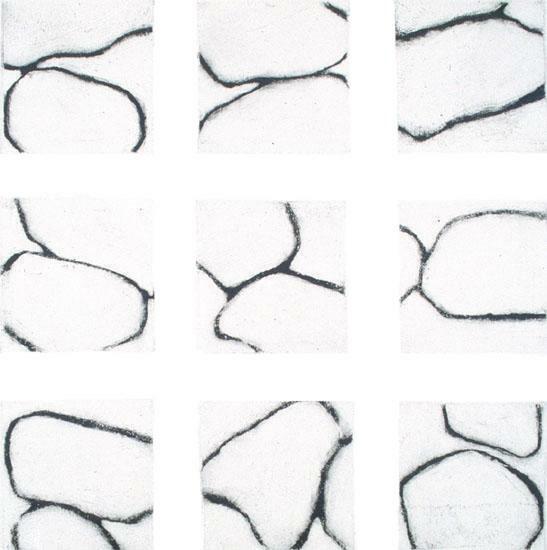 For more information on the artist and her work, visit her website: http://cecilday.ca/cecilday/Welcome.html.